Masquerade Masks a wide range of some of the most beautiful masks available. 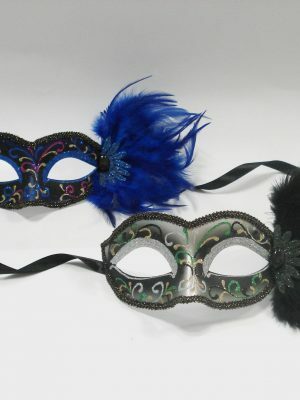 Masquerade masks in a wide range of styles, colours, materials & so much more. Take a peep for yourself and find out all the disguises you can take. Silver, Blue, Purple, Green and every colour in between. Sequences, Glitters & Golds, Feathers and more that will lighten your eyes & let you take on your new form. Find a mask to match your dress today!